I am so honored to be a part of the Virtual Wine & Dine Marathon Weekend Blog Hop! One of the things that set a runDisney event apart is the wonderful costumes you see from the runners. Some simple, some extravagant, some bought, some made by the runner themselves, all FUN! As fun as the costumes can be, you need to remember you will be running so be sure to remember to wear clothes that are comfortable and practical. 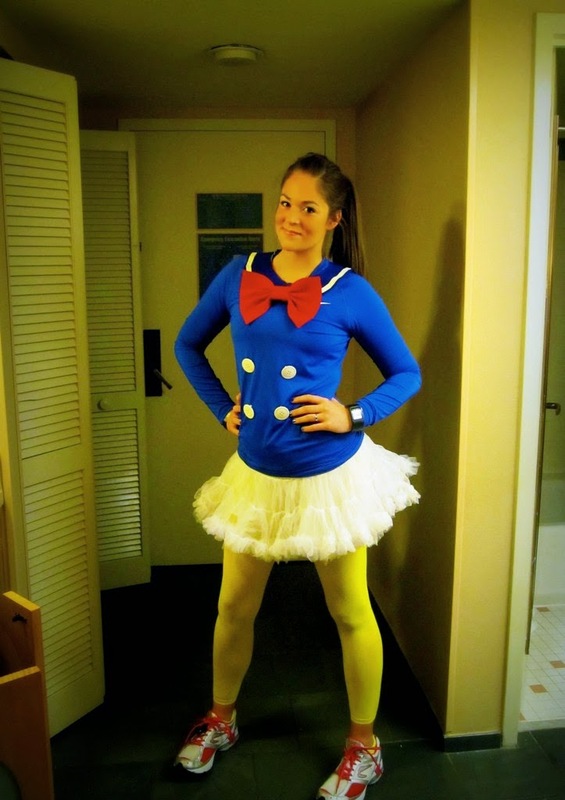 It's no fun running a race in a scratchy, itchy or uncomfortable costume. Here are my top five ideas for the Wine & Dine Half Marathon Weekend. 5. 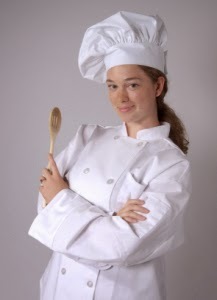 Chef It is the Wine and Dine Half after all. If you're inventive you could also go as food (grapes, cheese, ext) or as a bottle or glass of wine. 4. Princess - A runDisney Princess is expected at each and every runDisney event and this one is no exception. Dress as your favorite princess and you can't go wrong. 3. 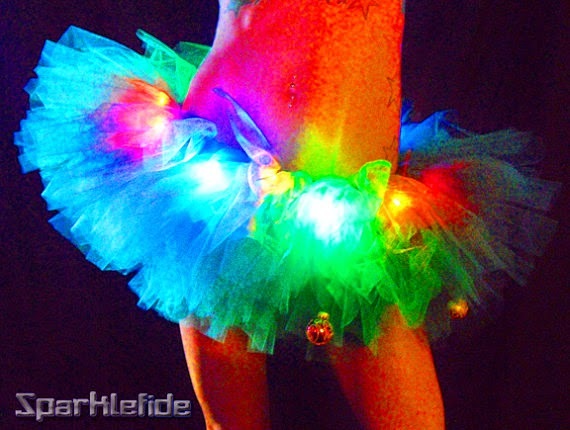 Anything Glow-in-the-Dark This us an evening event so glowing is a fun option! 2. Secondary Characters I think the half tutu would be an awesome beginning to a Kevin from UP! costume. There are lots of other secondary characters to choose from(Flounder, one of the mice from Cinderella, a Good Fairy from Sleeping Beauty), use your imagination. 1. Fab Five Choose your favorite; Mickey, Minnie, Donald (the pictured costume is adorable), Goofy or Pluto. If you want to stand out in the crowd I wouldn't choose Mickey or Minnie - although finding what you need to dress as them would be the easiest. 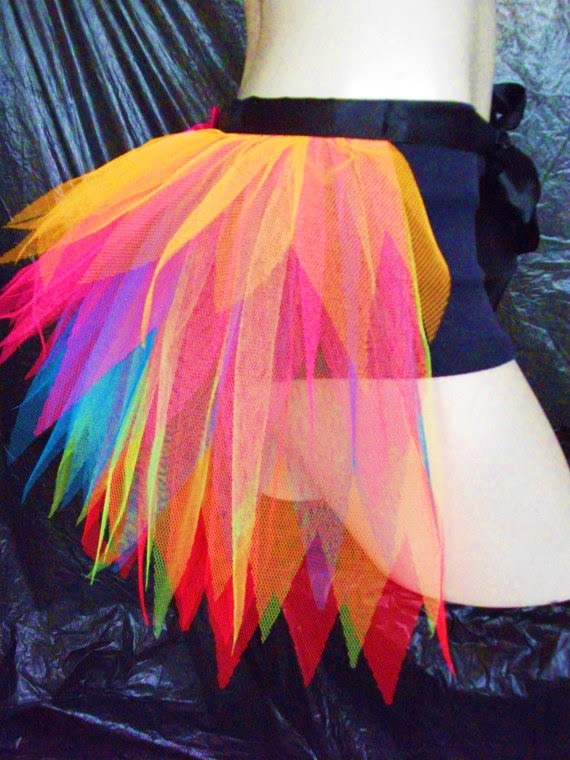 Tutus are prominent attire at any runDisney event so I wanted to include a tutorial for all of the DIYers out there. Again, I want to thank Didi and Meranda for hosting this blog hop. Be sure to stop by the other blogs for more Wine and Dine Half Marathon Weekend fun!! And that's exactly what makes runDisney so special Christine!! Darn it, I knew you would catch me stealing your great idea, I'm sorry Tricia. ;) I love the Donald costume too, I really need to step up my game for the Princess Half in February. I think a costume is a must for any Disney race ( or at least Disney inspired attire). I didn't dress in costume for the TOT but I did have a glow in the dark Mickey Head on my shirt...lol! I really think that is part of the fun and what sets the runDisney events apart for any other. Look at you! You have some terrific runDisney suggestions Donna; I especially love Kevin from UP!. After all these races, I am embarrassed to admit that I have never made my own tutu; you have proven that it is SO darned easy to do with your included video. The wheels are now turning for Disney Princess Half Marathon Weekend...!! Thank you so much for joining the hop pal- the honor is only ours!